Influencer Marketing on Twitch - Can Twitch Improve Your Bottom Line? Influencer Marketing on Twitch – Can Twitch Improve Your Bottom Line? When people talk about influencer marketing, they usually think about campaigns carried out on Instagram, Facebook or Twitter. Sometimes we hear of campaigns on YouTube or even Snapchat. It is rare that you hear about influencers on the other social channels. But there are specialist social channels with particular niche audiences. And if these niche audiences match your target market, then it makes sense that you should carry out your campaigns on these channels. One such specialist platform is Twitch. To most of the population, a twitch is simply a nervous tic or when you're trying to itch yourself. To gamers, however, Twitch has a very different meaning. In fact, to many players, Twitch is the place they spend many of their evenings, into the early hours. How Do Twitch and eGaming Work Together? Who are the Main Users of Twitch? Why Use Twitch for Influencer Marketing? How Could Twitch Improve Your Bottom Line? Twitch is an online service for watching and streaming digital video. It was initially created to stream video games, and that is still its strength. But Twitch has since expanded to stream a broad range of videos. 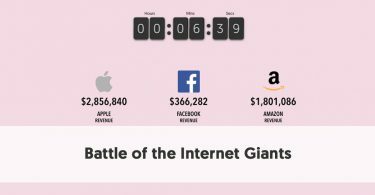 It began operations in 2011 and became famous enough to attract Amazon’s attention. Amazon bought the service in 2014. By November 2016, there had been 241 billion minutes of gaming content streamed on Twitch. Twitch enjoys more than 120 million monthly viewers, with 2.2 million unique streamers each month. 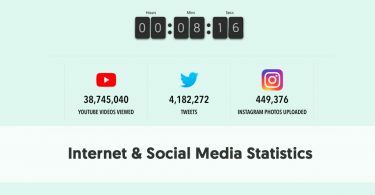 One very telling statistic is that the average Twitch user spends 106 minutes per day on Twitch – that’s a lot more than the average Twitter user spends on that site daily! People can watch Twitch streams on the Twitch website, or alternatively, they can watch it on an app. With a dominant gaming focus, it should be no surprise that there are Twitch apps in a wider range of places than is typical. As well as the normal iOS and Android apps, you can also find Twitch on Xbox 360 and Xbox One, Sony's PlayStation 3 and 4, Amazon's Fire TV, Roku, Google Chromecast, and even the NVIDIA SHIELD. Each streamer operates their own channel, and people can add their preferred channels to their Favorites list. A Twitch user can find channels by searching in various categories. Obviously, the most significant category is Games. However, you can also see much-loved channels under Communities, Popular, Creative, and Discover. Twitch channels stream professional eSports tournaments, personal channels where gamers stream their favorite games, and broadcasts from significant gaming conventions. Over time Twitch has evolved from just being a site where people streamed their activities. There are now a variety of ways that Twitch users can communicate with each other. The platform includes direct messaging capability. Each channel runs its own chatroom, allowing many self-contained conversations between Twitch users. Another favorite feature of Twitch is Pulse, which allows Twitch users to post statuses, as well as being able to engage with statuses made by others. In many ways, Pulse is the Twitch equivalent to Facebook’s timeline. This means that Twitch has evolved from being merely a place where gamers could live stream their games, to a fully-fledged social network. And like all social networks, it has influencers who have become famous and are loved by their followers. Contrary to popular belief, most gamers are aged in their twenties, so much of the material streamed on Twitch is not family-friendly. But if you do want to protect your kids from more violent games or gamers with more colorful language, there are channels which cater for younger audiences. This Reddit page provides suggestions about youth/teen friendly streamers. Twitch has expanded its focus in recent years into non-gaming areas. The most popular non-gaming category is IRL, which stands for In Real Life. The Creative section allows artists, animators, designers, programmers, and even cosplayers to display their creative talents to the world. Clearly, the fans of an artist showing how he creates an item of pottery will be a very different audience to the fans of a cosplayer showing how she can dress up us a Star Trek green Orion girl. With gaming being the bread and butter of Twitch broadcasting, there is a distinct affinity between Twitch and eGaming. We recently discussed the rise of eSports’ influence on brands. Although eSports does receive some coverage on traditional television, its fans are internet savvy and less likely to spend their time watching TV. This makes Twitch a natural partner with the eGaming leagues and tournaments. A few top Twitch influencers play professional eSports. They often live-stream their games. They also stream discussions about the professional games and gamers. ELEAGUE TV which live-streams ELEAGUE and focuses on Counter-Strike: Global Offensive and Street Fighter. They have the record for most concurrent viewers in a single stream – 1,025,493 in 2017. This was about half of all people watching Twitch at the time. ESL_CSGO (the Electronic Sports Company) which broadcasts Counter-Strike: Global Offensive games and tournaments. Some of the tournament broadcasts generate strong viewing figures – more than many mainstream television channels. Although Twitch has expanded its non-gaming channels to include videos on subjects as diverse as cooking and pottery, it is still at heart a gamer’s paradise. It provides a venue for players to hold conversations about the games they enjoy. The official minimum age is 13, although there are probably a few youngsters who have lied about their age to join the platform. Most gamers, however, are in their late teens and twenties. 73% of Twitch’s users are aged between 18 and 49. It is perhaps surprising that Entertainment Software Association statistics show that 41% of gamers are women. Twitch’s female audience is not as high, however. Twitch claims that 25% of their users are female. If you look at most game advertising, it appears that marketers have yet to understand the popularity of female gaming too. Most Twitch broadcasters (and certainly Twitch influencers) are skilled game players in some genre. The current game of favor is Fortnite. The average streamer tends to be extroverted and loves engaging with his (or increasingly her) peers. This is even the case on the non-gaming channels. Twitch is niche – but it has many fervent and engaged users who are happy to support their favorite streamers. Of course, Twitch is no different to any other social network. It takes a lot of work to build yourself to the stage where people consider you to be an influencer. This is one of the reasons that so many gamers stream for long hours and make a point of engaging with their fans. If your company targets the typical Twitch user, then it is an ideal platform for you to undertake influencer marketing. This is particularly so if you sell products to the average gamer. Seeing Twitch influencers play and enjoy your game has to be the ultimate accolade for a games company. Quite a few influencers also sell advertising space during their feeds to gaming companies, where they play promotional videos for current and upcoming games. Although the Twitch video display area is almost full-screen, there is plenty of space on a Twitch player’s page beneath the video player. Twitch influencers (known on the site as Twitch Partners) can promote various items. For instance, quite a few include ads for particular brands of gaming equipment. Others may not show formal ads, but they do list their equipment. This must encourage fans to buy the same brands of gear so that they can play like their gaming heroes. There are also plenty of opportunities for non-gaming brands too. Again, if you are a Twitch Partner, you can display ads on your page. Businesses often offer free products for a streamer to use (and talk about) during their streams. It should be no surprise to see youth-oriented companies such as Coca-Cola and Pizza Hut using that approach on Twitch. The most obvious way a brand can work on Twitch is to sponsor a channel. Many people have built up sizeable Twitch followings. We have profiled the Top 20 Twitch influencers (streamers) every gamer should follow. While everyone on this list is a gamer, you may find somebody who has a sizeable audience of non-gamers on Twitch, and you could sponsor his channel. For instance, you may pay a streamer to make himself available to play a game with his fans at certain times. The fans will love playing with their “celebrity” and love you for making it happen. You could pay to have your logo placed conspicuously on his site, or perhaps on his video set. Twitch provides excellent opportunities for product placement. If you make gaming gear, you could give a sample to an influencer, and if he likes it, he is likely to list it as part of his preferred equipment on his page. You could create a unique tag that could appear at specific points in a game. At a higher level, you could become part of tournament sponsorship, and gamers will see that during tournament broadcasts. In many ways, working with Twitch influencers is no different from working with other influencers. In our Definitive Guide to Influencer Marketing, we covered the steps to go through to be a successful influencer marketer. As we discussed there, businesses we surveyed made on average $7.65 for every dollar they spend on influencer marketing. There were, of course, firms who make no return. But the top 13% of businesses earned $20 for every dollar they spent. To be a successful influencer marketer you just need to do it right. 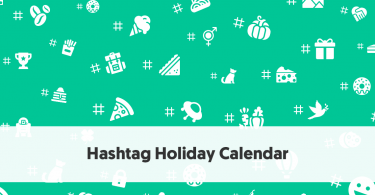 This means beginning by setting goals and targeting your influencers. If you target 16-24-year-old males, you have a captive audience watching Twitch streams. Sure, not every young guy is a gamer – Nike probably does better by focusing its influencer marketing on more sporty types. 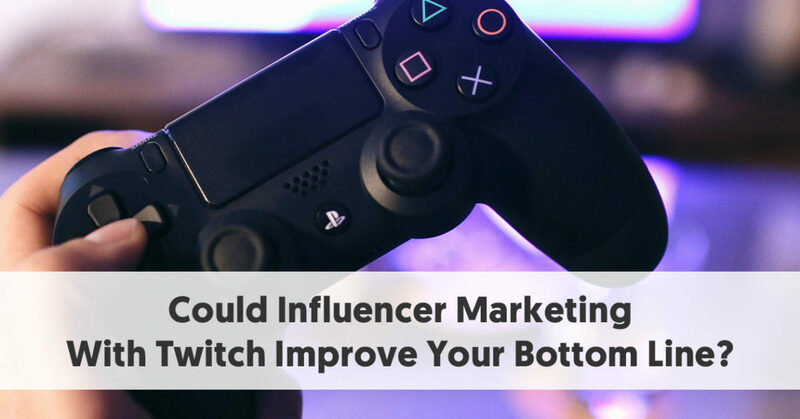 But if game players are likely to buy your product, then you should benefit from Twitch influencer marketing. 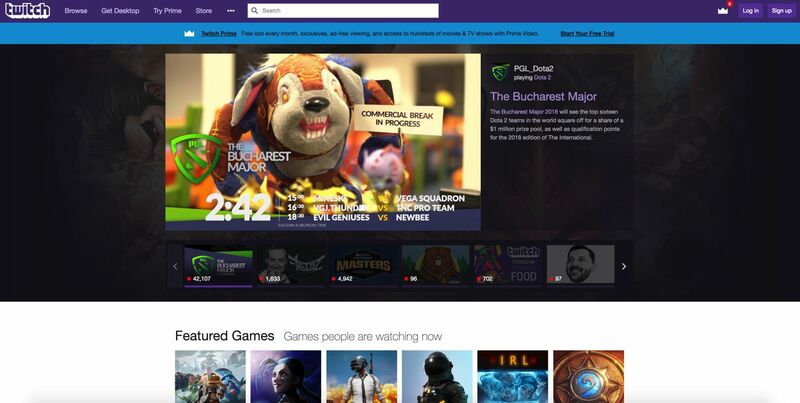 As Twitch develops, more subsidiary services evolve with it. There are even influencer platforms to ease the process of finding and working with Twitch influencers. One such platform is Wehype. 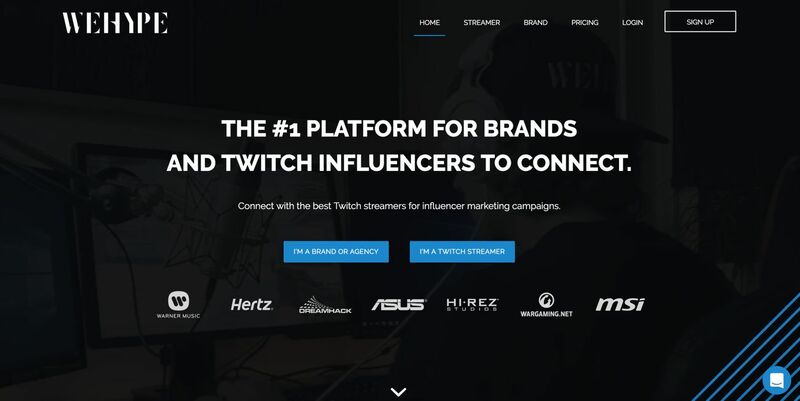 It helps brands connect with talented Twitch influencers for campaigns. They include well-known non-gaming companies amongst their clients, including Warner Music, Hertz, and Asus. In many ways, Twitch is a hidden social network. The average person does not know it exists. But it had fervent supporters, with highly effective influencers. 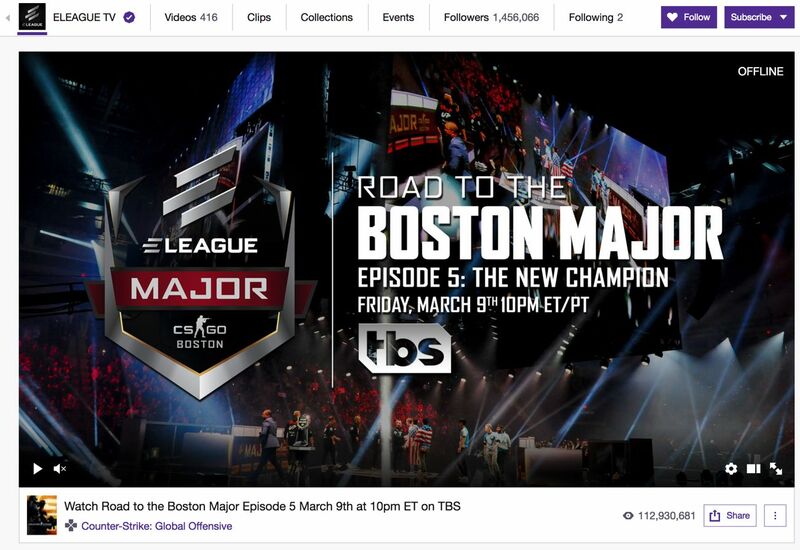 It is no surprise that the corporate gaming companies, movie streaming companies, and cable networks recognize the value of marketing on Twitch. Likewise, significant beverage companies, such as Red Bull, and Coca-Cola have invested heavily in eSports sponsorship and influencer marketing.